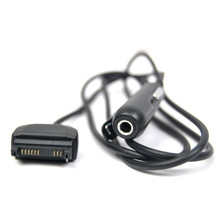 comfort as you listen to your Nokia or other music players with 3.5mm earphone / headphone jack. The high fidelity full stereo sound technology will enhances your audio experience in any audio device. Position your portable device wherever you need it for added comfort. 100% brand new generic (Non-OEM) handsfree headset earphone fits Nokia Cell Phone with built-in earphone adaptor for 3.5mm jack code. Listen radio or MP3 provided from cell phone. This headset is connected directly to the phone. Enjoy talking with your friends anywhere. No need to hold your phone anymore. Built-in microphone and Answer/End button. Just with a short push of the button, you can start and end your conversation easily. Built-in earphone adaptor. You can use your own favorite earphones with 3.5mm jack code to enjoy the music for better entertainment. With the shirt clip, you don't need to worry it may fall down. Just one plug into your Nokia phone. Convenience. No extra adaptor needed. Company Name: Luna Commerce Co., Ltd.